Photos App that made its first appearance in Windows 8 is a default app in Windows 10 for opening any type of picture file. Since its inception, this default picture app has significantly improved. Also, as compared with Windows Photo Viewer program that was used till Windows 7 the Photos App is packed with a lot of nifty features. Unlike in Window Photo Viewer, you can now crop, rotate an image, change brightness/contrast along with adding various effects to your image. Along with all these attractive features, users are often found complaining about problems they face with Photos App. Some of them include, app crashes while opening an image or closes soon after launching. This situation can be extremely painstaking as it is the default app to open any image in Windows. So, if any of you is facing problems with Photos App and looking for a solution then here in this article we have summed up some fixes to resolve this problem. Since Photos app is a default Windows app to open image files therefore if the app is not working then you can’t open any image. Hence, to resolve this problem we have listed below some quick fixes. 1. Click on Windows Start button and click on Settings (gear icon) at the bottom left corner. 2. Now in the Settings window that opens, click on Apps. 3. In the App & features window click on Apps & features and search for Photos App. 4. Now click on Photos App and select Advanced options. 5. In the Photos App window click on Reset button. 6. In the prompt that appears again click on Reset button to reset the app. Please note that it will remove all your customized settings. In case if Photos App still does not work then move on the next step. 1. Click on Windows start button and select Settings (gear icon). 2. In the Settings window that opens, click on Update & Security. 3. Now, in the left panel click on Troubleshoot. 4. Scroll to the bottom, select Windows Store Apps and click on Run the troubleshooter. 5. Follow the onscreen instructions to proceed. 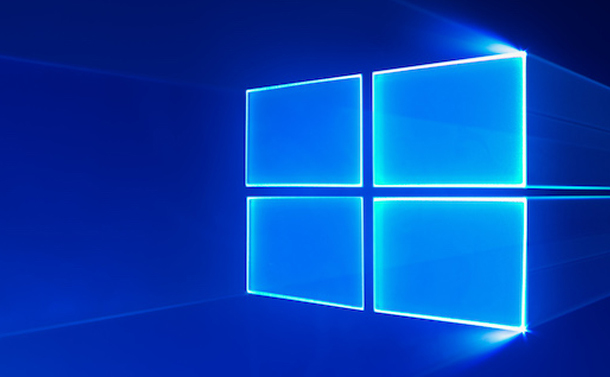 The Windows troubleshooter will diagnose and fix the problem if it found any with Photos App. You have reset the Photos App and run the Windows troubleshooter, but the problem with Photos App remain unsolved, then you need to reinstall it. Since Photos App cannot be uninstalled like other programs, therefore you have to use PowerShell to remove the app. 1. To open PowerShell, right-click on Windows Start button and select Windows PowerShell (Admin). 2. In the UAC that prompts, click on Yes. 3. Now enter the following command in the PowerShell. 4. Once you have removed the Photos App using above command, download it again and see whether the problems with Photos app is resolved or not. Although above three steps will surely fix the problem with Photos App, however if the issue still remains unresolved then you can restore your system to an earlier date on which Photos App was working. But this will only work if you have already created a system restore point. Learn how to create system restore point. Please note that all the programs that are installed after the selected system restore date will be uninstalled. Though your personal files like images, documents, songs will remain unaffected. If you have tried all the above listed methods and still Photos App does not work then it is time to say goodbye to this default Windows app and go for another photo viewer app. IrfanView, XnView, FastStone Image Viewer, Fotor, Windows Live Photo Gallery are some of the programs that you can select to replace Windows Photos app. So, guys, that’s it from our side. Hope that any of the above listed solutions will resolve the problem you are facing with Photos App. Also, please do not forget to mention the solution in the comment box below if you have any to fix the problems with Photos App.